Hi all! 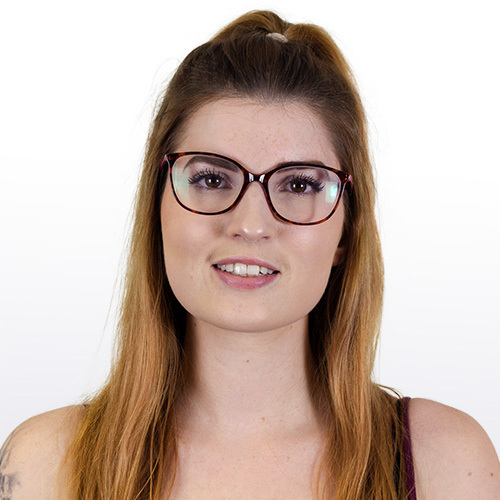 Harriet here, ready to show you today's coverage round-up and we have two lovely bits of coverage to show you from our awesome clients Vouchercloud.com and Giftcloud. 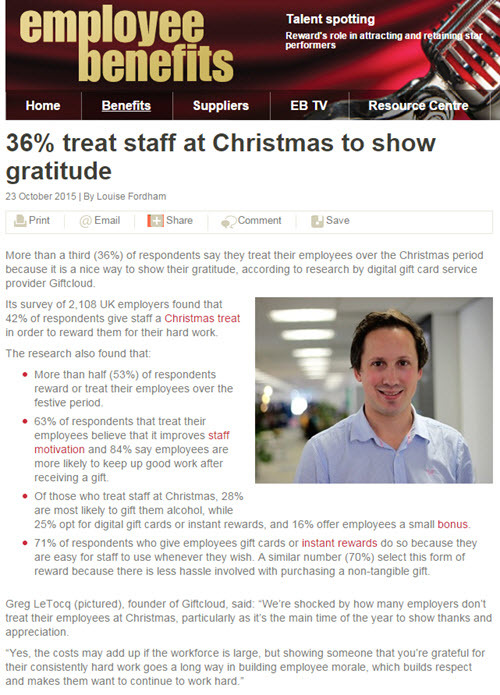 First Giftcloud, a revolutionary gifting service had a nice bit of coverage on Employee Benefits after they conducted a study which revealed that 42% of employers treat their staff over the Christmas period. Futhermore it was shown that over a third of these employers do so just because they want to show their gratitude. Below in the story as it appeared on Employee Benefits. Our second bit of coverage comes for our lovely client Vouchercloud.com after a feature they wrote about offering discounts and how it can boost a companies profit appeared on Real Business. You can see the full feature as it appeared on Real Business below.